As IT professionals, we are exposed to many areas and industries that we would not otherwise have been exposed to. After all, who does not use technology at some level? These were our thoughts when we were first called in to help the public works department at a local municipality. Their Computerized Maintenance Management Systems (CMMS) was new and confusing. They needed temporary, local support. As systems and database people, the environment was new, the software was new, but what needed to be accomplished, was not; help implement a complex piece of software, into an environment that already had all the procedures, processes, and quirks of an established entity. Little did we know that gbaMS and their Master Series software suite would be become such an integral part of what we do. FastLane Tek is now an authorized gbaMS implementer, supporting numerous clients both independently and through contract. Since our entry into CMMS, the gbaMS software suite has been the standard we adhere to. 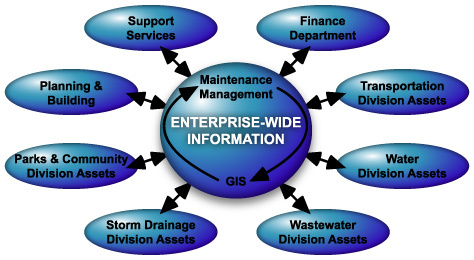 GBA Master Series, Inc., (gbaMS) focuses exclusively on the design, development and implementation of commercial off-the-shelf (COTS) software applications for the management of Public Works and Utilities infrastructure systems.